Get the Amish Three Panel Modern Bed handcrafted in oak, brown maple, cherry, or quarter sawn white oak wood! 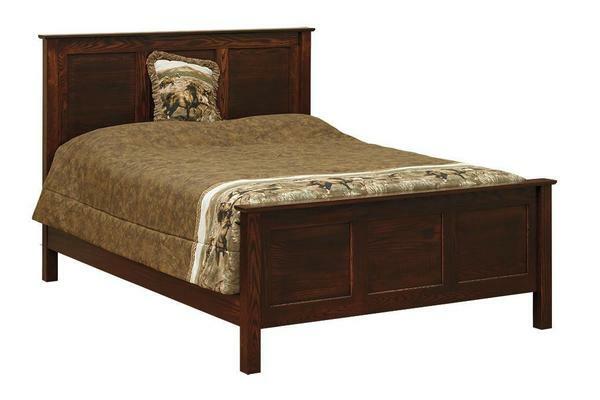 This beautiful solid wood bed will provide you with years of comfort and use. Allow this contemporary bed to transform your bedroom and become the centerpiece in your suite. Choose a standard wood headboard or get an upholstered headboard to add beauty and style in your bedroom that can be enjoyed for a lifetime.